Susan Meissner » Ten more days and a wake-up! Ten more days and a wake-up! 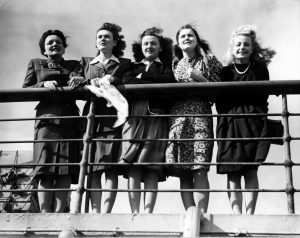 Five war brides aboard the Queen Mary in 1946, as they sailed into New York harbor. 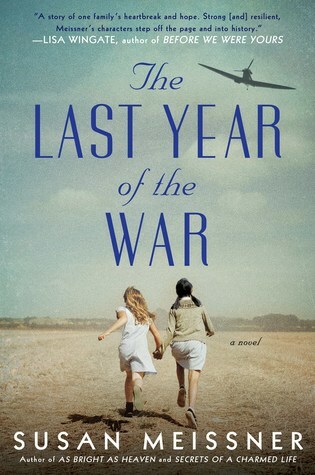 It’s always as nerve-wracking as it is thrilling, the last few days before a book is released into the wild. I love this novel that’s coming your way in just a matter of days, (March 14) but to be honest, I took a creative risk on this one and so naturally I’m anxious. I don’t write ghost stories, but this one, ahem, has ghosts in it. And I don’t usually tread into the world of the wildly unknown and unproveable, but I have with this one. And just in case you missed my earlier post about the ghosts that appear in A BRIDGE ACROSS THE OCEAN, they are quite literary and not at all out to scare you. Seriously. They have the same quest for happiness that the mortal characters in the story have. Just so you know. 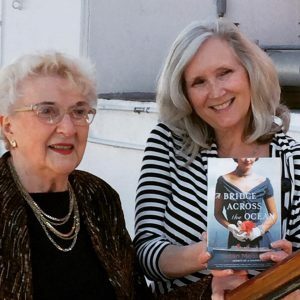 War bride June Allen and me aboard the Queen Mary earlier this week. I would love to meet and chat with you at one of these events. Comment below if we’ll be able to do that or if you need any additional info about one of these dates. I’m so excited to read this one! Taking risks is sometimed hard, but you have such a great way with words and are such a talented author, I’m sure it will be fantastic. I won’t be anywhere near where you will be (*sob!) but hopefully someday I’ll get to meet you in person. Congratulations and God Bless!! Can’t wait for your newest book!!!!! I have read ALL your others, and loved each one, all so diverse…..what research!!!! Thanks for sharing all your talent. Just finished this book and it was great. Enjoyed the sail across the Atlantic on the Queen Mary. Simone and Annaliese were excellent characters. Thank you for a wonderful story. 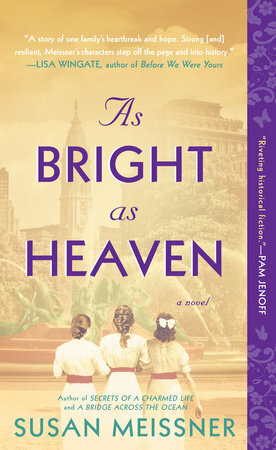 There was an excerpt for UNDER THE CANOPY OF HEAVEN included at end of book (courtesy of Penguin’s First to Read program) and I absolutely MUST read this book. My youngest child ( of four) was born with rare congenital heart defects. She passed away one month after her golden birthday, at the age of eight. (March 8, 1994 – April 10, 2002) Guess what was on her headstone. A lamb and lilies. March & April are difficult months for me, my husband, and the kids. I dunno. I feel like I was led to this book. I was meant to read it. That I found it only days before her birthday…amazing. The problem is this: I cannot find it anywhere. Not on Goodreads, Amazon, B&N. No where is it mentioned, except as an excerpt in A BRIDGE ACROSS THE OCEAN. Is this an old book? New book? Unpublished book? Any info would be greatly appreciated. Wishing you the best of success on release of A BRIDGE ACROSS THE OCEAN. I loved it & know that other readers will share my enthusiasm. 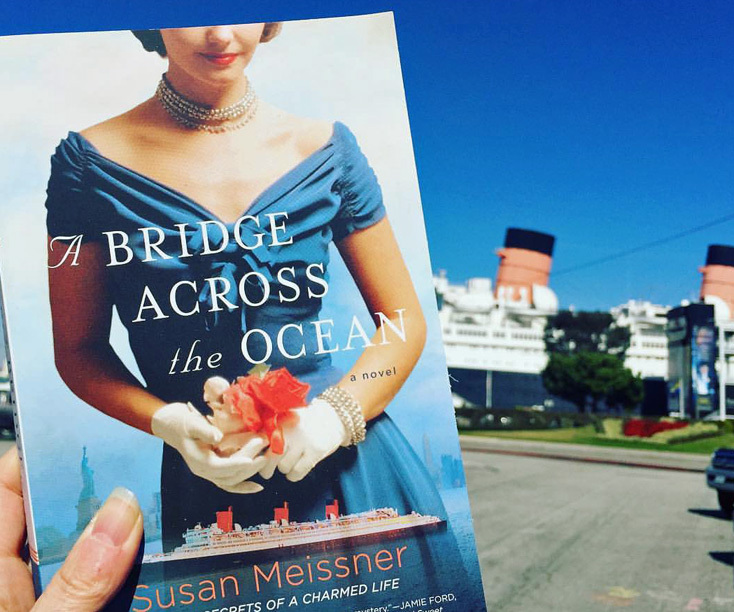 I look forward to many more Susan Meissner stories. You’re a wonderful storyteller. P.S.- I’ve included my reading blog website, but, to be completely honest, my husband and I have been remodeling our cottage home and I have been neglecting my blog. It’s been a while since I’ve posted there.